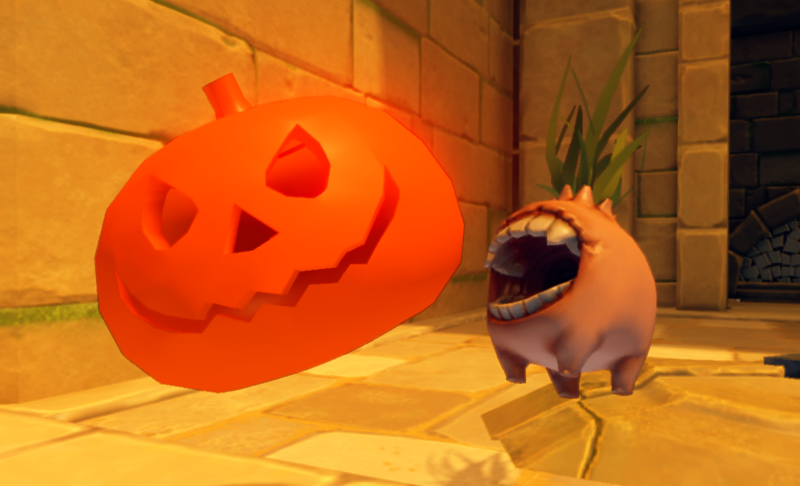 DevBlog 79 / No tricks here, only treats! We’ve been working on the final modules for the massive puzzle in the Canyon Area, which should be finished soon enough! Here’s a beautiful scenic shot of the Canyon, taken from higher grounds. 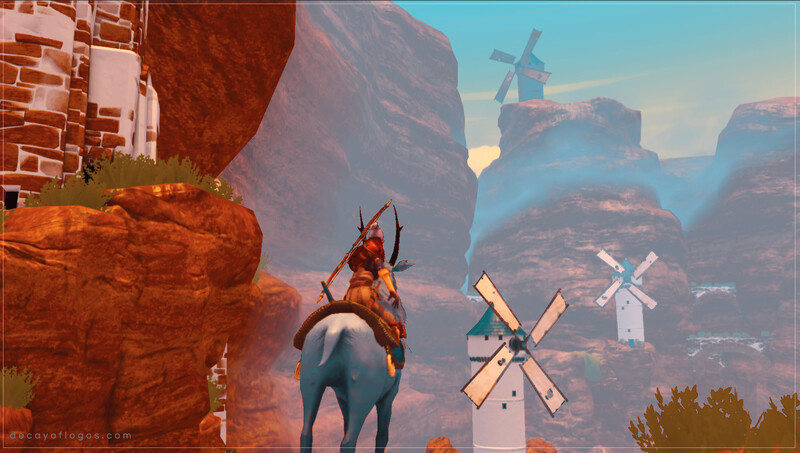 Such Canyon, much windmill, wow! The Elk also had a few more tweaks and polish in its behavior, including proper fear mechanics that have it getting scared and running off when enemies are nearby, which wasn’t quite working as intended before. As a result, it behaves more realistically now and helps with creating better immersion. The Boss for this new zone is short of being completed, we’re setting up the third and last phase of its encounter, which can be harder or easier depending on how you handle the first two phases… but you’ll have to find that out for yourselves! No tips for you! Regarding combat, we reworked and improved the Bow logic, providing a much smoother experience for those who like to grab that opportunity to land some extra damage from a safe distance before fully committing to melee combat. 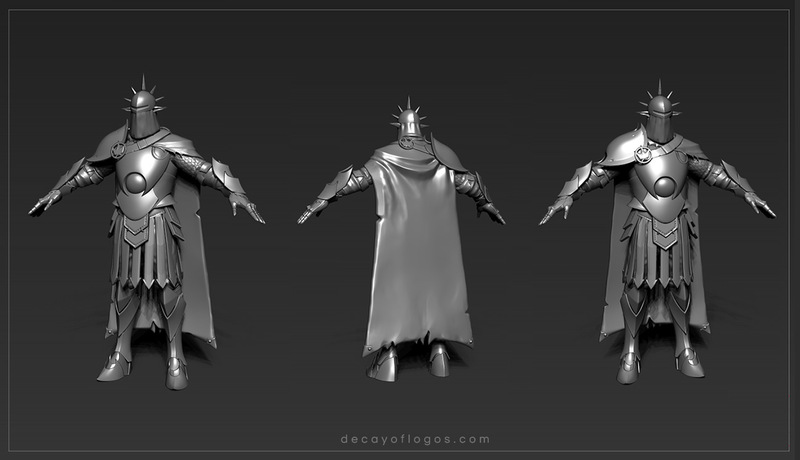 Speaking of melee combat, here’s a screenshot of the Royal Guard’s high poly model… and yes, these foes will be as tough as they look, beware! You don’t want to mess with these guys! Thank you for reading, hope you have a great Halloween and enjoy the treat we’ve prepared for you, here goes! Happy Halloween, Om Nom Nom! This entry was posted in Dev Blog, Gameplay, Level Design and tagged 3D, Gameplay, Technical on October 27, 2017 by admin.